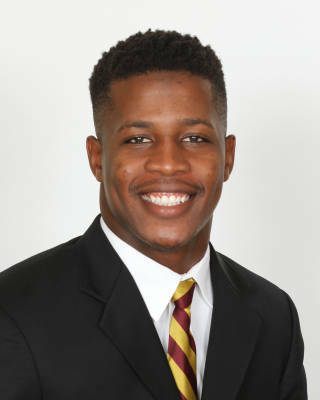 Fifth-year senior who emerged during his junior season and worked his way into the starting lineup at free safety in his final season at Florida State…started all 13 games as one of the veteran leaders on the defensive side of the ball…had a team-high three interceptions on the year, including one at Georgia Tech that was returned 57 yards and led to the only Seminole touchdown of the game…three INTs tied for seventh-most in the ACC, while his 94 return yards led the conference…voted Honorable Mention All-ACC by the media…finished third on the team in total tackles with 68 stops (46 solo), second only to freshman All-American Derwin James in unassisted tackles (52)…collected a crucial interception in a 14-0 shutout of Boston College…recorded a career-high nine tackles in the Chick-fil-A Peach Bowl against Houston…set a then-career high with seven tackles in the opener vs. Texas State, later matched that number against No. 1 Clemson, NC State and Florida…also had a 37-yard interception return against Chattanooga on Senior Day in his final home game…finished his career with five interceptions, three other pass breakups and 99 total tackles…was named one of four permanent captains in 2015 at the end of the year banquet…tallied five tackles for the American Team in the Tropic Bowl All-Star game in January (2016). Fourth-year junior emerged as a productive reserve in the secondary, appearing in all 14 games…played as a safety in FSU’s dime package…finished with 15 tackles, two interceptions and a pass breakup…his first career interception came in the second quarter of Florida’s Treon Harris and led to an FSU TD for a 21-9 lead…picked off Georgia Tech’s Justin Thomas in the fourth quarter with 3:22 to play in the ACC Championship Game…had multiple tackles against NC State, Notre Dame, Louisville, Virginia and Boston College. Redshirt sophomore saw action in 11 of FSU’s 14 games as a backup defensive back and special teams contributor…continued to expand his role with the Seminoles after a redshirt season in 2011 and six games played and no stats in 2012…had two tackles and broke up a pass at Wake Forest…set a new career high with six tackles – all solo – against Syracuse…made his first career tackle for loss at Florida…registered 16 tackles and a pass break-up on the season. Redshirt freshman defensive back who played in six games mainly on special teams on the kickoff coverage team…also saw time as a reserve safety late in games against Murray State, Savannah State, Wake Forest, Boston College, Duke and Maryland. Redshirt season…earned one of six freshman academic awards at the team’s annual banquet for his work in the classroom. Three-star prospect by both Rivals.com and Scout.com and ranked as the No. 47 safety by Rivals.com and No. 33 by Scout.com…rated a three-star prospect by 247Sports…rated the No. 14 safety by ESPN…First Team All-Area defensive back honors by TCPalm…recorded 104 tackles, two fumble recoveries, two forced fumbles, six interceptions and blocked two field goals as a senior…No. 62 on Bill Buchalter’s Florida Top 100 for the Orlando Sentinel…member of the Florida Times-Union’s Super 75 where he was rated as the No. 9 safety…chosen by ESPN760 as the No. 7 player to watch in Palm Beach County and the Treasure Coast…No. 24 on the SuperPrep Florida 110…born February 10, 1993…majoring in social science.